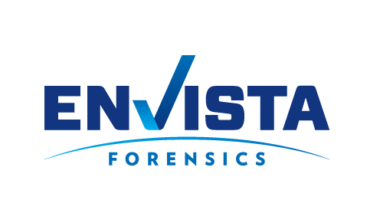 LONDON, UK/CHICAGO, IL, APRIL 4, 2019 /insPRESS – Envista Forensics, a leading global multidisciplinary forensic consulting firm, today announced the expansion of their Global Major and Large Loss capabilities. This expansion commences with the immediate addition of four experienced and respected postloss technical support providers to the Insurance market in, Simon Arnold, Matthew Hinckley, Paul Griffin and Andrew Hudson, along with their extensive support team, thereby strengthening Envista’s already prevalent position as a market leader in handling international complex loss investigations. Prior to joining Envista, Arnold, Hinckley, Griffin and Hudson worked for McLellan & Partners, Ltd, where they provided Engineering Advisory Services, including property damage assessment, cause and origin & quantum, procurement and contractual consulting, to Insurers, Loss Adjusters, Lawyers and Re‐Insurers on a diverse range of international insurance losses. With a depth of expertise across sectors from Manufacturing, Power & Energy, Petrochemical, Chemicals and Gas, Heavy Industry, Commercial & Public Buildings, and Infrastructure, at Envista the team will continue to assist clients following major and complex incidents including fire, flood, earthquake, blast, explosion, terrorism, hurricanes/cyclones, storm, collisions, mechanical and/or electrical malfunctions and failures. Envista is a global leader in forensic engineering & recovery solutions, providing failure analysis, fire and explosion investigations, digital forensics, accident reconstruction, building consulting, geotechnical engineering, damage evaluations and equipment restoration services following disasters of all kinds.